How are those prayers coming for the 54 day novena coming? Don’t know anything about it? Click on the icon on the RH side bar for more details. “Each year, more than 1 million abortions are performed in the U.S. Not only that, but one could argue that the United States, more than any other country in the world, has contributed to the international spread of abortion… as murder, abortion is a sin that cries out to God for punishment (see Gen 4:10). Making matters worse, it involves the murder of a completely innocent and helpless child by the will of [their] own parents. Rev 14: 1 Then I looked, and lo, on Mount Zion stood the Lamb, and with Him a hundred and forty-four thousand who had His name and His Father’s name written on their foreheads. The number is the representation of the lost tribes of Israel who live in the Gentile lands thanks to the first dispersal of the people when judgment fell on the Northern kingdoms of Israel back in the 722BC by Assyria. And though in 587BC Babylon took the South, with Babylon, captives were taken and thus a remnant few were able to return some 40+ years later to rebuild Jerusalem. The North never did return and it is them whom the 144,000 represent. But as we’ve said before, the Bible has layers of meaning which is why a literal translation is often not possible. So, here is a new layer of meaning to that same number. IJD – Jerusalem is about to be leveled by the Roman legions because the occupants of the land have abased themselves to a degree of wretchedness that only God’s judgment can purify. So let’s get really specific here. Who are these new representatives and what clues do we have in the text to give us this answer? Let us read on, dear friends! Rev 14:2-3 And I heard a voice from heaven like the sound of many waters and like the sound of loud thunder; the voice I heard was like the sound of harpers playing on their harps, and they sing a new song before the throne and before the four living creatures and before the elders. No one could learn that song except the hundred and forty-four thousand who had been redeemed from the earth. 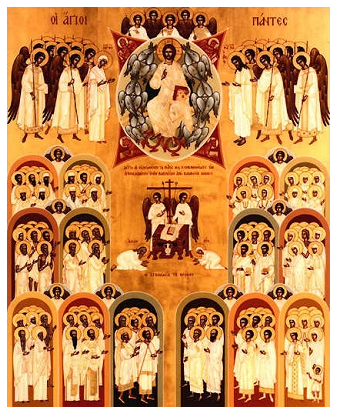 Music playing, voices raised in song and praise, before the THRONE of God, surrounded by His “four living creatures” and the “elders” – which we know from Sacred Scripture are the 12 Apostles (see Mt 19:28). This would make perfect sense if one examines the Traditional form of the Mass – the Latin form – because there are parts that only the priest says and only he knows what he says. The rest of us are not privy to those specific parts. In the new form of the Mass, the same does still apply to special parts that only the priest says, but thanks to (bad/good) formation in Seminary, we do often hear what he is saying and are now in a way “privy” to what the priest alone says. Rev 14:4c …these have been redeemed from mankind as first fruits for God and the Lamb, and in their mouth no lie was found, for they are spotless. 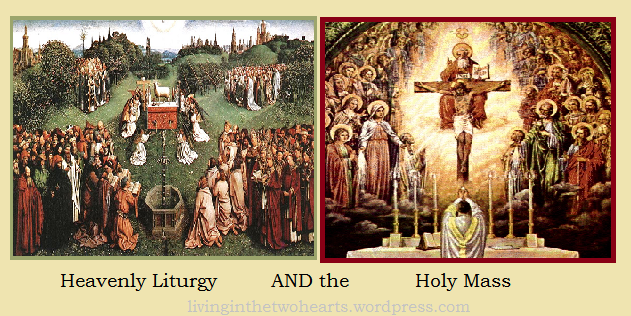 The Apocalypse: “the book of the heavenly liturgy…standard for [Church’s] own liturgy.” ~Cardinal Ratzinger (Pope Benedict XVI), “The Spirit of the Liturgy”, c.2000. Male and chaste, set aside for God, redeemed from mankind, spotless and worshiping before the THRONE of God… that clinches it! So this new part of the 144,000 remnant few fulfill the Davidic set-up where David established the priesthood of his kingdom – a prefigurement to the Kingdom of Christ (see Lk 1:31-33) – where there were twenty-four divisions of priests to serve AND sing in the temple (see 1Chron 24-25; Barber, 84). 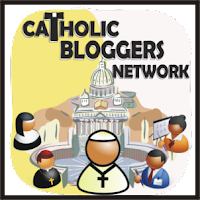 Recently there has been a lot of discussion about the celibate priesthood and whether or not the Church should follow suit with the Protestant churches and allow her priests to marry. I just like to point out a few obvious things: First: It was the forefathers of the Protestant churches that broke away from the ONLY Church Christ established – the Universal (Catholic) Church. Therefore, they are currently in heresy, and Christ promised that His church would never fall into heresy (cf. Mt 16:18c). 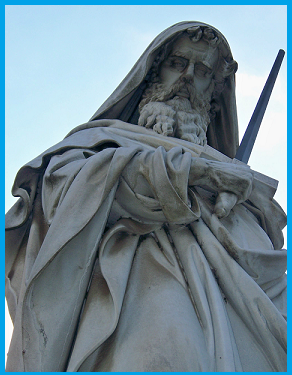 Many of the Apostles had families, businesses and property. Peter certainly stands out as example of this since we read that Jesus used his house in Capernaum as His base of operations while He preached. And that during that time Jesus even healed Peter’s mother-in-law from what reads like a high fever (cf. Mt 8:14-15), to which she was so grateful that she waited on Him. The next verse tells of people bringing their sick to Peter’s house so that Jesus might cure them. Remember the story of the paralytic who was lowered on a stretcher through a roof ? That was Peter’s roof they dismantled (see Mk 2:1-12)! So those who had families, they left their families to follow after Jesus. They did not marry new wives and begin new families. They remained chaste and many died a martyr’s death. Continue Reading… So what about the wicked?